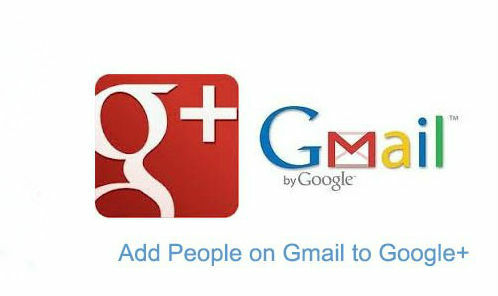 Yesterday, Google expanded a feature which allows Google+ users to send emails directly to someone else’s Gmail. This isn’t exactly a new feature, as there has been the option to allow Google+ users to email you via your G+ profile, but the new addition is that you can find people you follow on G+ directly in Gmail, and the most controversial part of it all: it was turned on by default. Don’t let the “Gmail/Google+ seems like a serious breach of privacy” bangers put you off. The main reason for disabling the feature would probably be that you don’t use Google+, and if you’re not a G+ user, then by all means you should disable the feature, (see, To Disable the feature: below). And, we would certainly understand if you want to dial it back, because we do feel that Google have overstepped the mark by setting the default to allow “Anyone on Google+” to contact you; it should have been limited to just your circles, or extended circles at the very most. However, it is easy enough to change that setting; and, I would like to point out a couple things about the new feature, just in case you’re unsure about it, because there is value to be had in it. The feature isn’t as worrisome as you may think. Users may be able to email you, but they don’t ever get to see your email address, and you are in control of what happens after that first message. If someone emails you once, and you don’t respond or add that person to your G+ circles, they will not be allowed to message you again, this is good thinking by Google. This has been done to limit the amount of spam and trolling that can be perpetrated through the system. And, if you have Gmail’s auto-tags enabled, messages from someone not in your circles will be bumped out of your Primary inbox and into your Social inbox, giving you an extra opportunity to ignore it if you want. At the end of the day, it is a choice, plain and simple. I have chosen to be more open, and I have found value in that, just as I have found value in Google+. If you don’t see the value in openness, or the value in Google+, then obviously you should just turn off the new Gmail feature. All I would say is: don’t let your or others knee-jerk reaction dictate what you do. The initial reaction by most these days is to want to protect one’s privacy. Given all of the trouble with the NSA & GCHQ etc, with all the various leaks, and stolen data, there are good reasons why you might feel that way. So, it can’t hurt to take a few moments and reflect on why you feel the way you do, question what is driving your decisions. Those few moments of reflection could help you make better decisions, and help to avoid any potential “troll moments” that we all have when we get stuck in auto-pilot. Click the gear at the top right corner of the screen to access the Settings option. You should be in the “General” tab of the Settings menu by default, click on it if you aren’t. 5. In the drop-down menu you will see the four options above – Anyone on Google+, Extended circles, Circles or No one – with the default being Anyone, which we don’t really want. From here, just choose No one, click the “Save Changes” button at the very end, and that’s that.